First Stop: We started our tour at Svaneke, a small town located on the east coast of Bornholm that has a tiny population of just under 1,100. Despite the small population, Svanake is a very popular tourist spot thanks to its quaint red-roofed and half timbered houses. A stroll down the port might evoke the idea of making Svaneke your second home. 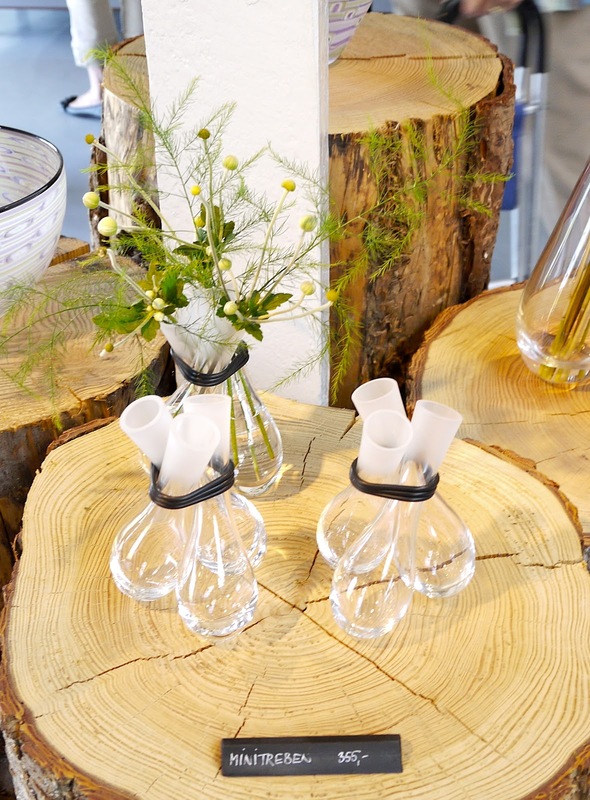 Second Stop: The Baltic Sea Glass is a glass studio where artist Maibritt Jonsson and Pete Hunner develop unique glass art, inspired by the daily things in life such as plants, wildlife and landscapes. Next stop: Round Church of Osterlars - Build in 1160, Osterlars Round Church is the largest round church in Denmark. It is one of the main attraction on the island with more than 120,000 visitors a year. The central column of the church is decorated with biblical scenes from the Annunciation through to the Passion, ending with Day of Judgement where Jesus judges mankind. A view from the top - This church is often being linked to the Knight Templars, who were warrior monks that lived a modest life during normal times. But in wars, they were feared by the Muslims, whom they fought with in the Holy Land. 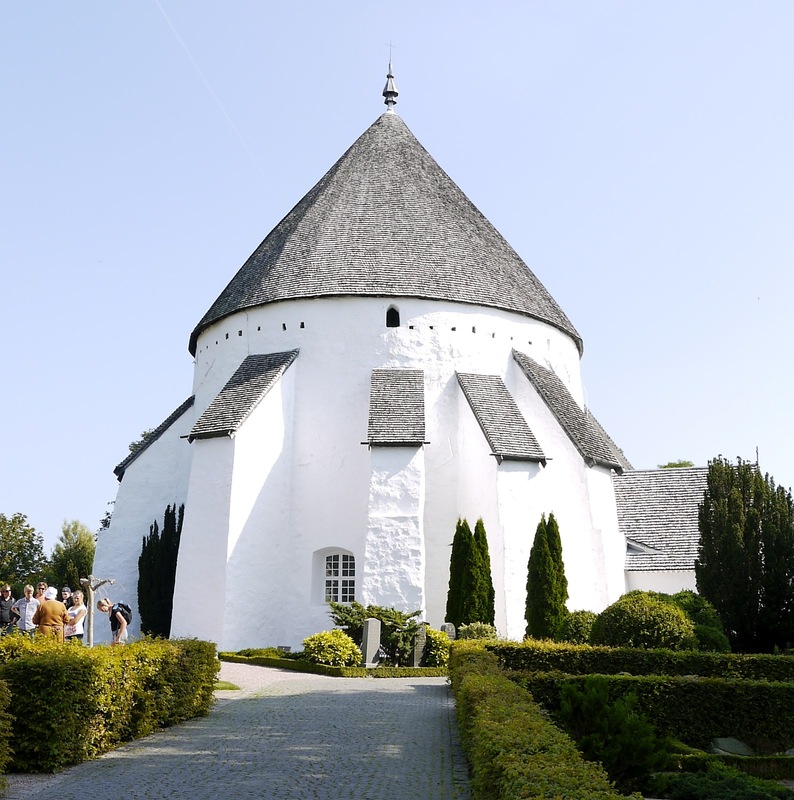 It is believed that Bornholm was used as a base for a crusade to the Baltic countries. one afternoon is not enough for me, i probably need a few days to soak in all picture perfect view. Lovely place and my eyes balls are popping out, admiring each one of the pics. The view indeed very beautiful... how i wish i could stay there longer. It's just so lovely in Europe, right? We could spend hours outdoors soaking up the ambiance. yEa.. europe is jus so beautiful, great weather n beautiful scenery. Thanks... make sure you visit this place when you are at Norway. 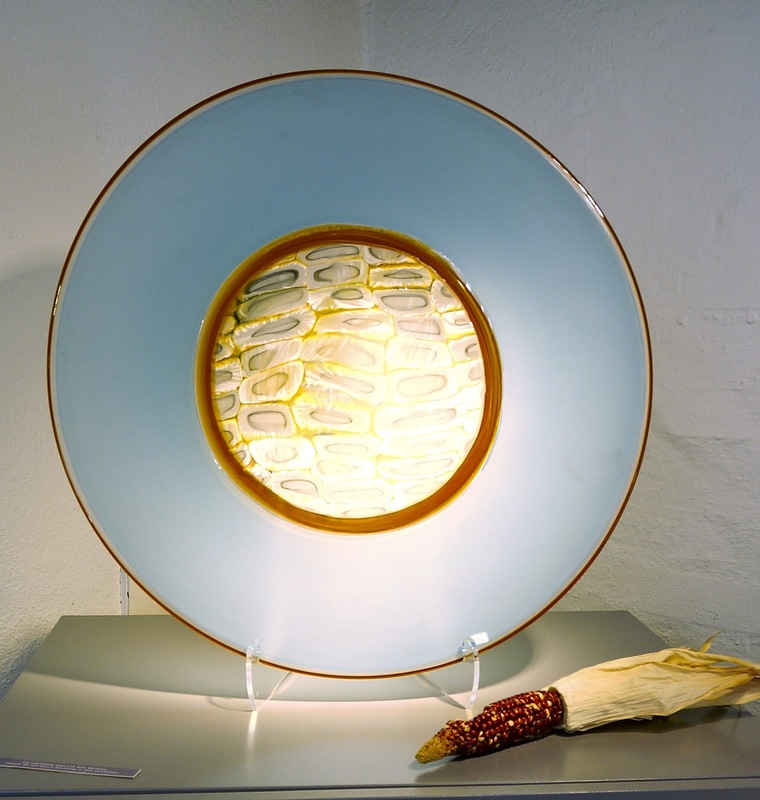 I like the corn inspired glass art! And horrible hot weather too!